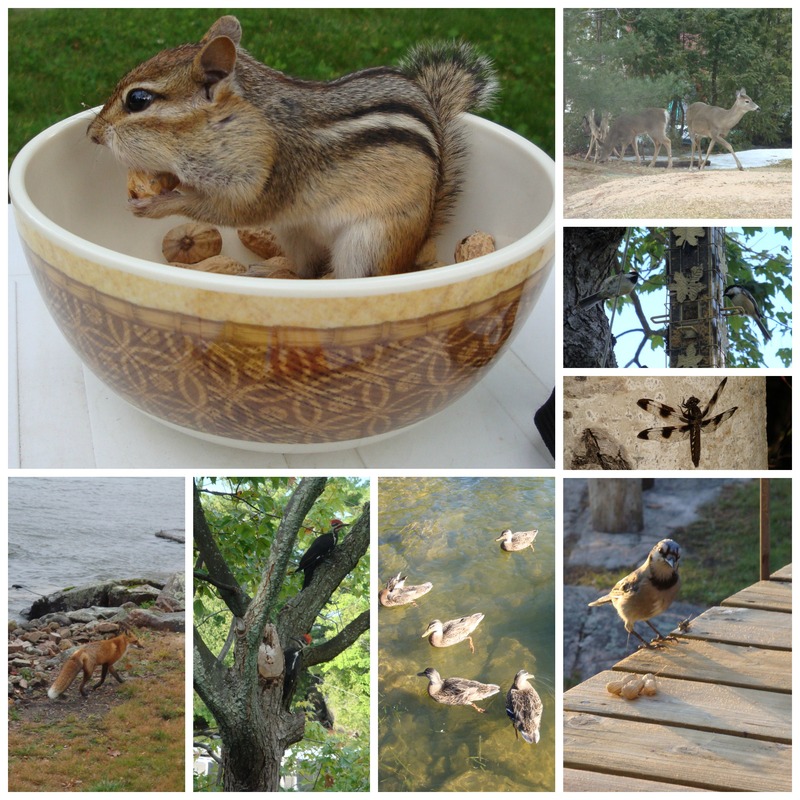 Here at the Homestead we have a wide variety of critters coming and going at any given time. Some come under the cover of darkness not giving us the opportunity to see them….although late one night by the fire, we heard a rattling sound coming from the bird feeder and as I shone a flashlight towards the direction of the noise, a huge pair of eyes were staring back…. a flying squirrel was intent on getting his midnight snack in. We have also had raccoons and skunks wander through at night, thankfully we are never outside when the skunks pass through. Here is a snippet of wildlife caught on camera in our corner of the Great White North, I usually keep the camera handy so as not to miss a good photo op!